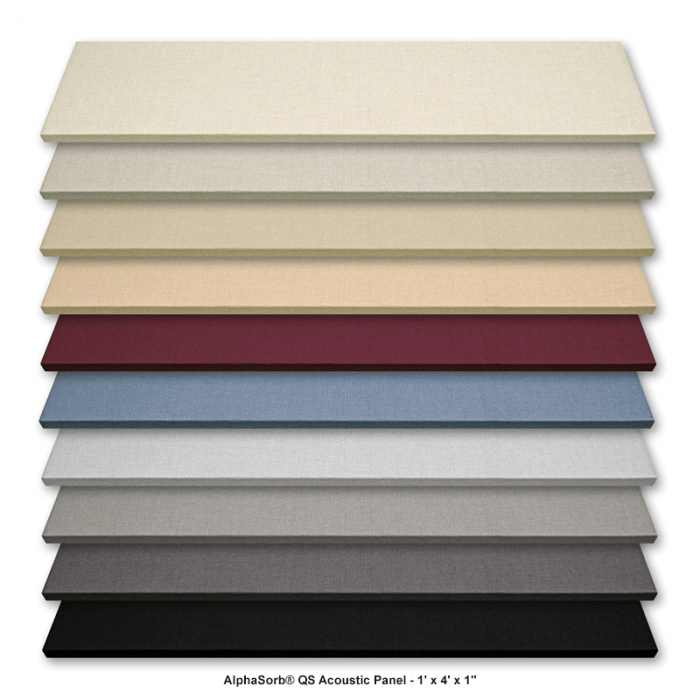 The AlphaSorb® QS Acoustic Panel has everything you need to create a space that looks and sounds fantastic! 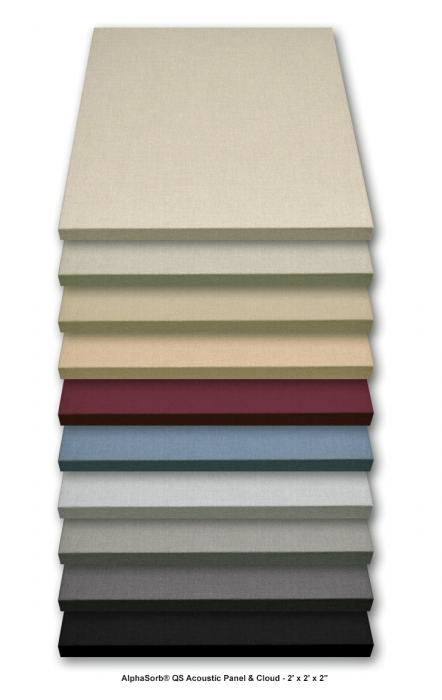 These sound absorbing wall panels come in 10 different colors, 3 different sizes and 2 thicknesses. 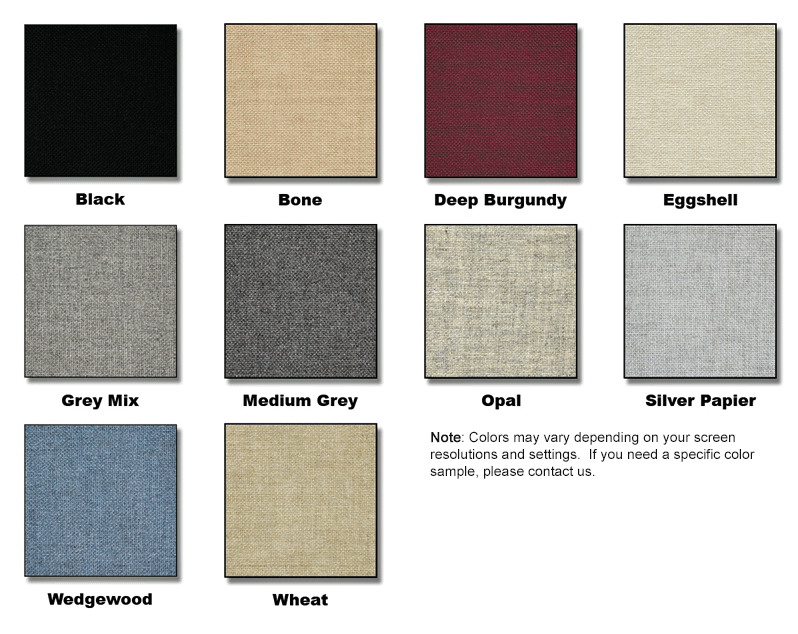 As a DIY (Do it yourself) solution, you select the panel quantities, sizes and colors to acoustically treat your space. 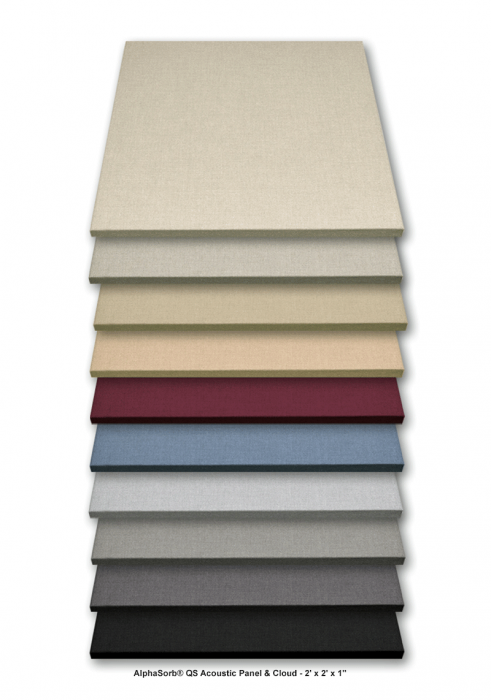 Each panel is wrapped with high quality Guilford of Maine FR701 Style 2100 acoustically transparent fabric. 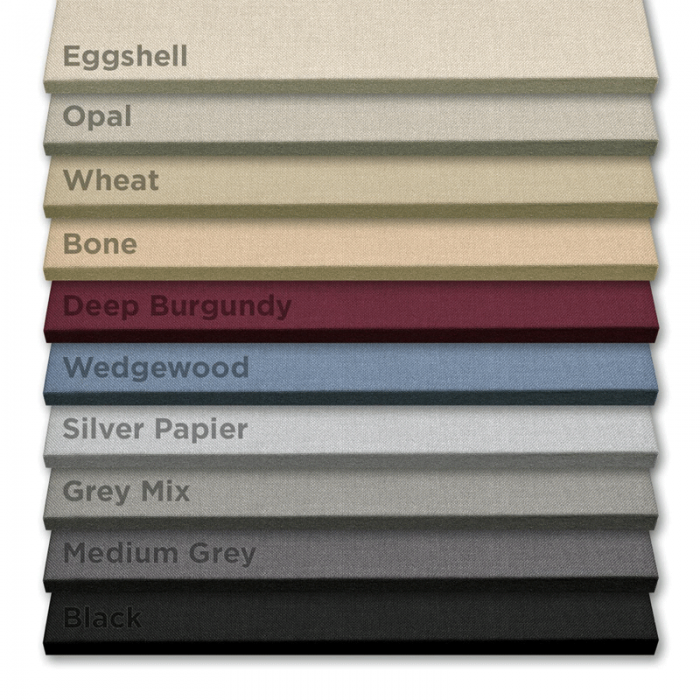 Underneath the fabric is a high density fiberglass acoustical core for maximum sound absorption. With each shipment, we include a complete set of wall mount hardware for easy installation or removal. With a Class A fire rating, these panels will meet building code requirements for both public and private facilities. 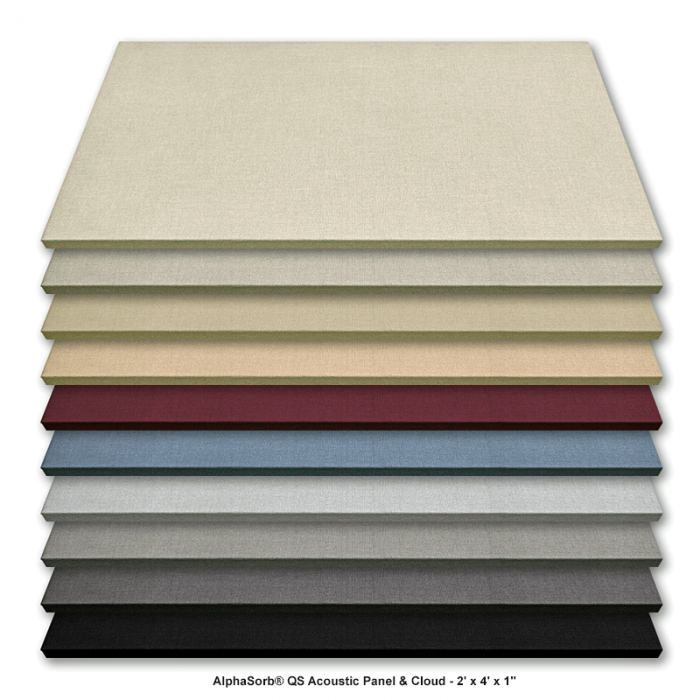 Use these panels to expand or customize the AlphaSorb® Acoustic Panel Room Kit or the AlphaSorb® Pro Acoustic Panel Room Kit. 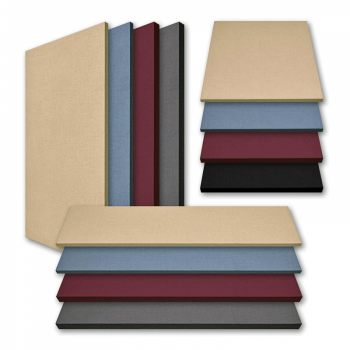 These acoustical wall panels are an excellent choice to reduce reverberation in Offices, Conference Rooms, Home Entertainment, Teleconferencing, Videoconferencing, Broadcast and Recording Studios, Restaurants or anywhere that needs a quick and effortless acoustical solution. 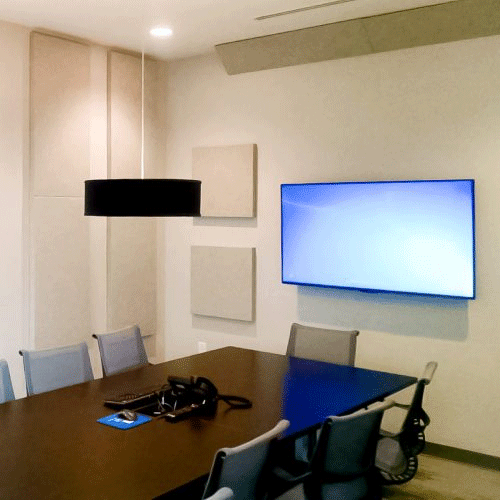 Family Trust Federal Credit Union’s conference room received a quick and easy solution to address the acoustic issues in their space. Little did they know how easy it would be to improve the room they use for collaboration, presentations and meetings. Travis contacted us looking for solutions to their noisy conference room. They wanted something that would blend in with the space, be easy to install and quick to receive. 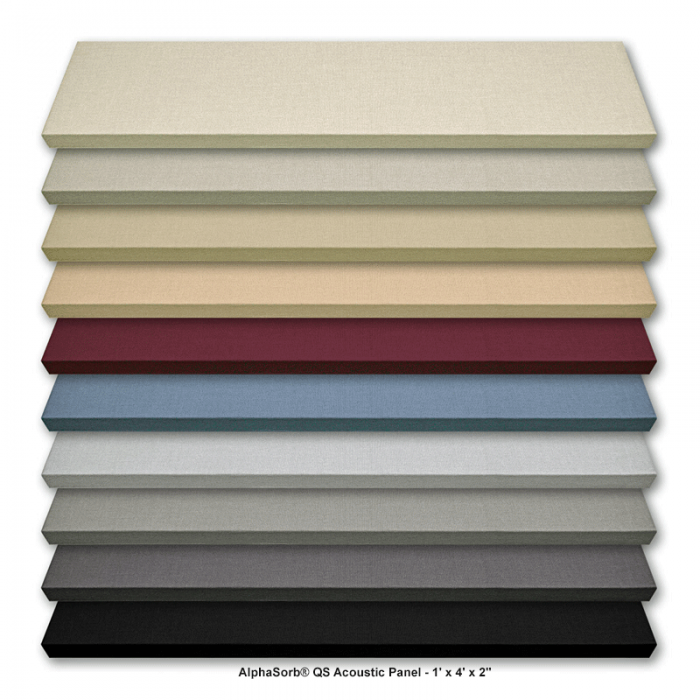 We suggested a simple solution to their problem would be an AlphaSorb® Pro Acoustic Panel Room Kit. Based on the dimensions of the space, two medium kits would provide an appropriate amount of absorption for the space. He was able to use the website to quickly order the two acoustic room kits. 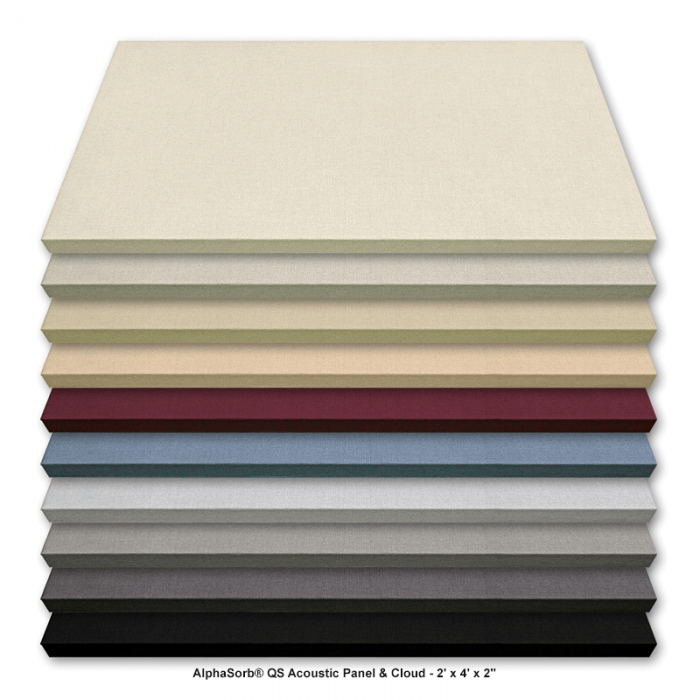 Two AlphaSorb® Pro Acoustic Panel Room Kits, in color Opal, made for the perfection solution. The acoustic room kits ship with the necessary hardware for installation, so the panels were easy for facilities management to mount to the walls. The conference room is now much more comfortable for their meetings and presentations. Acoustically treating the conference space was simple. The panels blended in well with the rest of the space and do not detract from the room’s existing decor.